Thought Experiment: Longest 5-piece assembly? So, for reasons totally unrelated to anything, I was contemplating: What is the longest distance you could cover with 5 assembled LEGO elements? * The elements have to be "attached" using a standard connection (stud/tube, pin/hole, ball/socket, etc). Doing something wacky like "using the adhesive at the bottom of a play table" is disallowed! I got a pretty large answer (over 2.5 meters), but I'm curious to see what other people can come up with. I have no idea if something longer is possible! My first thought was 5x 41L string with studs on the ends, so a legal stud to stud connection and will be 201 studs long, but I think you may have tried to rule that out with your definitions. The strings with studs on the ends are ... probably "more ok", or even fully ok. But I figured if I allowed non-plastic elements (like string) you'd start to get into the territory of using, say, a wooden playtable that LEGO made that has studs on it, which ... really pushes the boundaries of what constitutes a "LEGO element". I'll also toss out there that the connections don't have to be sturdy-- so you could attach the studs on the corners and measure the diagonal, and you'd have about 2.014 meters with those elements! Using three of these (or these if you prefer) joined with two of these. Oooo, Modulex! Although you could join them with these to get something longer! I don't think those actually attach. I believe the back of them is devoid of tubes, and they're meant to attach to a wall. Attached with 2 of the big 20x56 wings to get a bit over 318 studs. The Duplo would surely still be hollow underneath though - allowing you to attach them. I can't see it being a flat base. I'd considered the boat hulls, but suspected you couldn't join them to each other. Forgot about using other parts to join them. Modulex elements can't count per the rules and is disqualified (but it is a pretty good solution otherwise). Modulex A/S is independent of the Lego Group, hence the parts weren't released by Lego. See bullet point 3. I wasn't at all familiar with that ship hull. I'm wondering if there is some type of diagonal connection that might get you a little more length. ^ Paperballpark is both correct in their above statement and within the original posted rules. thought about boats too, but I don't have any of those big molds and don't know how they connect. looks like you have to disassemble the hull. and the wings have anti-studs so you can connect to boats? So, as per the challenge you could use them, but only by attaching other things to the studs, like big DUPLO plates. That's... wow... very, very, very close to the boat-hull-and-wing dealybob if you count the diagonal. I estimate about 2555.97mm for the diagonal of the DUPLO vs roughly 2555mm for the boat-hull-and-wings. So close that the accuracy of my measurements is probably affecting things. As for whether or not the Modulex counts? I'd say so. If you're going to allow other LEGO "building systems" like DUPLO, Primo, Quatro, Soft, etc, then you should allow Modulex. As such, the Modulex is the current front-runner I think, although I wouldn't be completely surprised if someone turns up something bigger-- there's a lot of oddball things out there! Couldn't one successfully argue that the boat hull insert ISN'T allowed? By my reckoning, you're actually using a sub element there - to use it in this experiment it would have to have the outer hull attached to create an actual element that TLG release in a set (as per the rules). ^ Splitting hulls hairs there, aren't you? Couldn't one successfully argue that the boat hull insert ISN'T allowed? That's not how I interpreted it-- if you wanted to use (say) the casing for control lab, I'd be fine with that. Actually, depending on the "full assembly", I might even suggest that if you had tried to use the "complete" ship, I might count it as two elements. Not sure. But obviously, everyone's going to have differing opinions on what constitutes an "element", which is what makes defining things like "longest LEGO piece" so difficult! 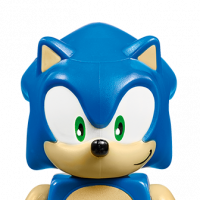 If multiple things that were actually separate molded parts were allowed, "as they were sold", I think some of the containers or play tables might start to come into play, where they had plastic molded elements that were "attached" to some other part, making something all the larger. That's really the intent behind wanting to avoid things that are clearly "two attached elements". Brilliant topic. I don't think my knowledge of Lego is good enough to compete with the record here, but I'm quite happy to stand back and watch. How about 5 #5005031-1 8 stud Black Storage bricks connected diagonally? Sadly, I only have one, so I cannot throw them together to measure. Acha! I thought someone might try something like that! Yeah, I didn't know how long the reels were, but I knew they were easily a few meters in length at least. But I figure if you allow prototype or unsold elements, it opens the door for a LOT of craziness. So, I was looking at the Modulex boards more closely-- how are they made? Both of the ones you posted are composites of some sort of ... wooden? backing, with plastic Modulex affixed to it. However, looking at the 1st picture, it appears that it's not a single sheet of plastic Modulex studs. It looks like it's made from smaller, 100 Modulex-stud sheets (presumably two 100's and a 50?). Does the other board do the same thing? Anyone actually have one of these boards to check? Why not measure one, take three quarters of the length (to allow for overlap) and times by 5? I suspect it won't be that long - you might just break 200cm. According to BL those 2x4 storage bricks are 25 x 50 x 18 cm. As per @Paperballpark's suggestion, (50*0.75)*5=187.5cm, so not even breaking 200cm. The other issue with the storage bricks is that while they technically nest with each other, I don't know if I'd consider them to be "attached", since there's (as I recall) very little (if any) clutch power between them. On that note, LEGO Soft and Primo would also be very difficult, since both of them have very weak or non-existent clutch strength! I forgot the first Modulex elements were molded with the LEGO logo. The M logo came later. As such only the elements with LEGO on them should count in the challenge. I'll stand by my statement that Modulex is and always was independent. Attached diagonally the 2x4 storage bricks should get you around 208 cm. 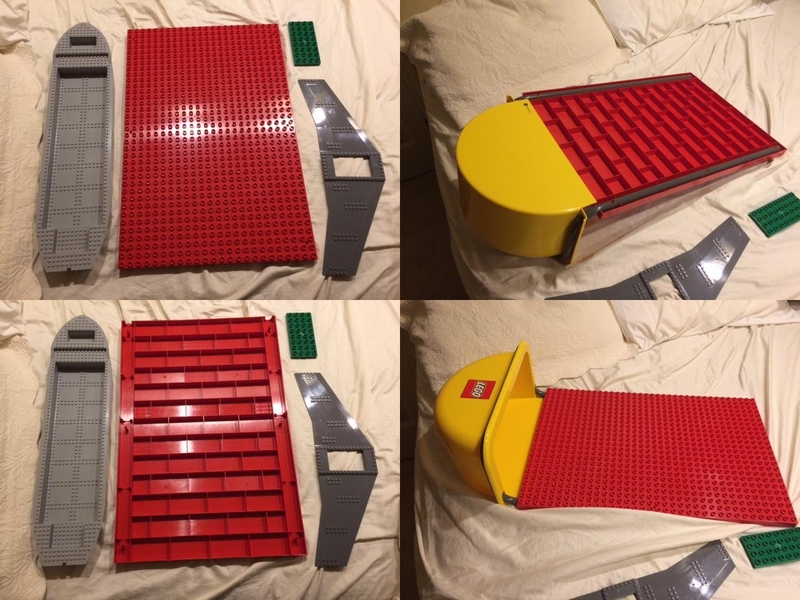 That Duplo plate looks like it would attach to another via 2 rows of studs rather than a single. Might have to get a ruling from Lego whether that's a legal build or not. Don't forget to add on a stud at the end where it doesn't connect to another one! So it would be exactly 200cm.